Chipotle is a type of smoked jalapeño pepper that gets its name from “chilpoctli,” a word in the Nahuatl language of the native peoples of Central Mexico that means “smoked chili.” In terms of “heat,” chipotle has a relatively mild rating with a range of 3,000-10,000 heat units on the Scoville scale. Powdered chipotle gives a warm, mildly spicy, smoky flavor to main dishes as well as marinades, sauces and salsas. Most Chipotle chilis are produced in the northern Mexican state of Chihuahua. A chipotle is a smoke-dried jalapeño pepper. 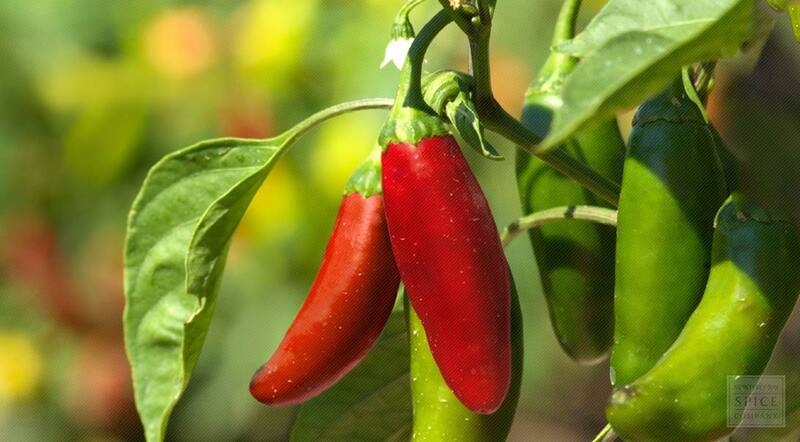 At the end of the growing season, jalapeños naturally ripen and turn bright red. They are kept on the bush as long as possible. When they are deep red and have lost much of their moisture, they are picked to be made into chipotle. Chipotle have heat and a distinctive smoky flavor. A mature jalapeño fruit is 2–3½ inches (5–9 cm) long, when mature the plant stands two and a half to three feet (75 to 100 cm) tall. Jalapeños have 2,500–10,000 Scoville heat units. Capsicum annuumis in the Solanaceae or nightshade family. It is an upright perennial or annual shrub usually less than 1 m tall, with small, white, pendent flowers and elongated, yellow, orange or red fruits (berries). It can be distinguished from other types of domesticated peppers by flowers that are solitary rather than in groups, and filaments (thread-like stalks supporting the anther) that are not purple. Chipotle comes from the Nahuatl word chilpoctli meaning "smoked chili". One of it is common names, Morita, is Spanish for "mulberry". Capsicum annum prefers full sun in a warm climate, these plants are mostly perennial in sub-tropical and tropical regions; however, they are usually grown as annuals in temperate climates. Prefers warm, moist, nutrient-rich soil. Start seeds indoors and sow ¼ inch deep, 8 to 12 weeks before the last frost. You can pre-soak seeds in warm water overnight prior to planting. After planting, keep moist and warm in a sunny location. Good results are also achieved by putting plastic cling wrap over the containers to create a hothouse environment. Remove when seedlings emerge. The red jalapeños are picked and moved to a closed smoking chamber and spread on metal grills. Wood is put in a firebox, and the smoke enters the sealed chamber. Every few hours the jalapeños are stirred to mix in the smoke. They're smoked for several days, until most of the moisture is removed. In the end, the chipotles have dried up in a manner akin to prunes or raisins. The underlying heat of the jalapeños combines with the taste of smoke. Typically, ten pounds of jalapeños make one pound of chipotles. To freeze, wash thoroughly and let dry. Cut off stem and leave the seeds in. Freeze in containers or plastic bags. They'll taste "fresh" any time you eat them. You can also make your own gourmet crushed hot peppers. Preheat oven and broil to 250°. Put dried hot peppers into oven in pan or on tin foil. Roast about 5 minutes or until just starting to darken. Let cool and put in blender. Crush to desired size. All dried forms may also be ground into a powder. Store dried peppers or powder in a cool, dry place in an airtight container. Caution should be taken when processing or handling this pepper as it is very hot and you would not want to touch your eyes or other sensitive areas after handling.